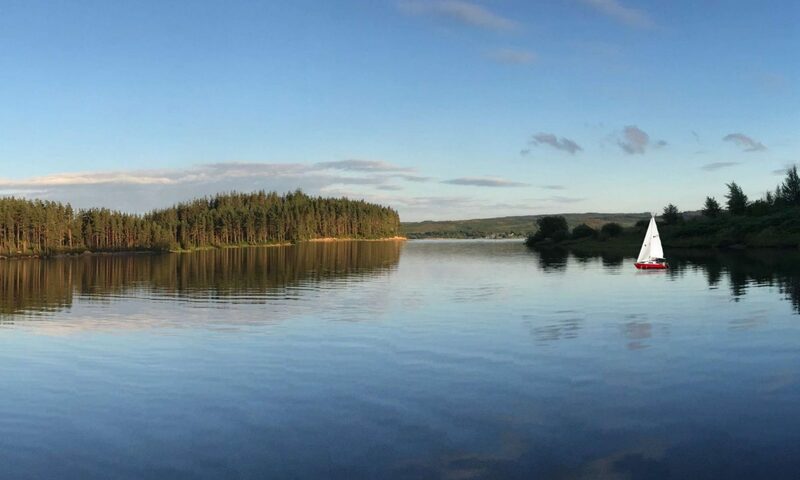 Kielder Yacht Club is located on the shores of Kielder Water in Northumberland, and enjoys unrivalled views of the tranquil landscape of Kielder Forest. The Club Marina is based in the Whickhope Inlet, part of the 27 miles of shoreline. The club provides both tranquil cruising and challenging sailing. We are a friendly club in North East England with a wide-ranging membership coming from as far afield as Yorkshire, Scotland and Cumbria. We are always looking to welcome new members to the pleasures of sailing or cruising on Kielder. Kielder Yacht Club is not just about cruising the lake, we operate an extensive sailing calendar with enough activities to keep the whole family involved. We include everything from a gentle sail to a secluded inlet, rafting up with friends enjoying a good bottle of wine, to full blown regatta weekends. Of course, no sailing calendar would be complete without a good old BBQ. Our social calendar operates 12 months of the year. During the winter season we make the most of our club house facilities by hosting parties, hog roasts and winter walks. The club is home to both motor cruisers and yachts where members can enjoy a full calendar of social and sailing events or simply get away get from it all on Europe’s largest manmade lake.